Ingestion of jujube pits is a common clinical problem, which can be difficult to diagnose and life-threatening if accompanied with intestinal perforation and peritonitis. 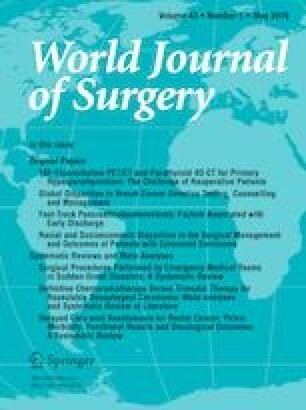 In this study, 18 cases of intestinal perforation caused by ingestion of jujube pits were reviewed and summarized to discuss the clinical characteristics, diagnosis and treatments. From 2012 to 2018, a total of 18 patients diagnosed as intestinal perforation due to ingested pits of jujube in our center were retrospectively reviewed and the manifestations, laboratory tests, imaging examinations and treatment strategies were summarized. The patients comprised of 11 males and 7 females with an average age of 63.5 years. The main clinical manifestation was abdominal pain. Twelve patients (67%) presented to the emergency department with signs of localized peritonitis. CT imaging revealed positive findings in 17 (94%) patients. Conservative treatments were attempted in 3 patients, and the other 15 patients received emergency surgical exploration, where 7 patients had more than one perforation identified during surgery. Five patients were admitted in the surgical intensive care unit after surgery. The average length of stay of all 18 patients was 9.8 days (range 5–24 days). Ingestion of jujube pits is a common clinical problem and potentially leads to intestinal perforation and peritonitis. CT imaging is the first imaging modality of choice. Patients with milder symptoms might be managed with cautious conservative treatment, and patients with more than one perforation can be identified during surgery. Authors would like to thank Professor Yimu Jia who provided photographs taken during surgery.